Lorenzo was rescued from a cat shelter at Capoliveri (Elba Island, Italy), where he was abandoned at the age of 3 months and very sick. We took him with us to Switzerland and one year later he is lucky and healthy cat who loves going camping with us. 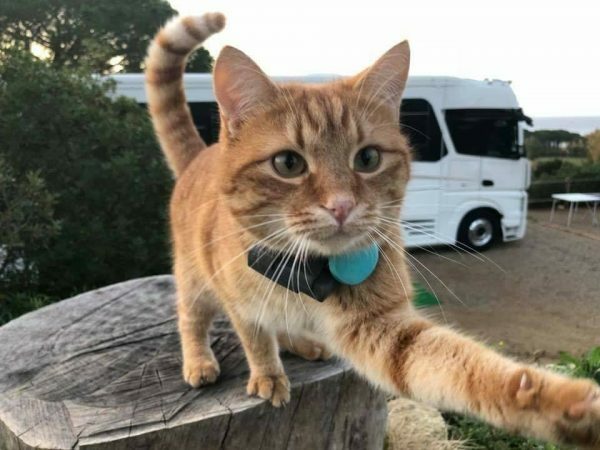 To find him, if he would get lost at the various campings, we use Tabcat.